Last winter my eldest daughter had croup, it was terrible, she was very sick, she didn’t eat for days, and I was extremely tired and sick with worry. So this winter, I have been dreading another bout of croup. 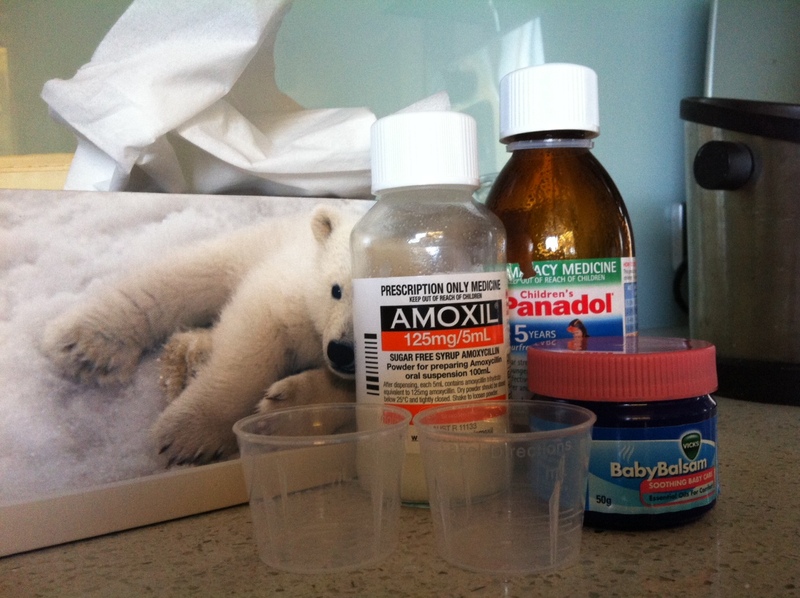 Through various means I have been trying to (futilely) control whether she gets sick again. Obviously I can’t control my daughter’s health. Inevitably, this week, we have had another bout of croup. And you know what, it hasn’t been that bad. I have the previous experience which enabled me to see the signs and get her to the doctor quicker; I know those strategies that worked before to help her breathe better and cough less, and those that didn’t; I have a daughter who is older and easier to get the medication into; I still have ridiculous quantities of play-school on my PVR (ok … so I didn’t press delete! ); I have the capacity to handle her illness. My fear of it being the same as before never was realised. This time is different because I learnt from last time. All the fear did was make me worry when everything was fine, it fed my need for control and my anxiety. It turns out my fear of her being sick was worse than the illness itself.